Have you ever exclaimed "so amazing, very beautiful!" to show appreciation when you see a very impressive site? You give it praise and admiration... Why not make your own site which you can be proud of. With a platform tool Joomla, the desirable website was born. Let's explore these remarkable Joomla powered websites from the Joomla Community Showcase. Who knows, in the future, you may have a beautiful site by yourself? Joomla template customization is not too difficult to do. Your future page can also be designed simply and beautifully like this with only 4 main parts: the name, photo albums, related information and a slideshow of the most beautiful images in the middle of screen where the dominant background colors are black and white. The well known slogan "Simply the best" is proof for the possibility of Joomla templates customization. You can optionally select a category to visit, for example, "Portrait". This displays a slideshow of images related to main theme, with small thumbnail images running along one side. This traditional presentation is loved by many people. Individual Profile and Contact are also classical and impressive. Joomla templates along with highly useful Joomla extensions, give you the ability to create a perfect website for yourself to share and market yourself if you are in any field of art. You absolutely can make your own school of music page? Why not? Let’s see how. The Primary School of Music in Warsaw has created a beautiful site. This site is also voted by the Joomla Community Showcase as the site of the month (November 2011). It will certainly give you lots of inspiring ideas for designing Joomla powered websites. The website has an interface with cool colors, consistent with the nature of a school of music, while the images of junior musicians are enlarged on the page to create a lovely slideshow. Each image is associated with a course at the school, such as courses for different kinds of students such as "Musical Nursery", "Children, adolescents and adults". For example, here you can select the "Educators" and the main interface of this page appears, still retaining its elegance. At the bottom of the page is the latest news, or information which is read the most, so that viewers can access it easily without searching. Have you ever thought that you could help children just by template customization? In this case, your site will act as a bridge between children who need help and benefactors who are willing to help. It would be great if your page could attract more good people who have the compassion to help unfortunate children. So let Joomla templates help you to do that, like Rapha House- one of the most favorite Joomla powered websites. This is the first interface of the site. The template customization is very impressive with the red background; the name of Rapha House is enlarged and placed at the top, along with the slogan underneath. In the upper right corner of the page, Rapha House put the tabs for visitors so that they can easily view information, find out about events, learn how to help and they also can donate also immediately with the red "Donate" button. The website immediately impresses with its realistic images which constantly appear. Each photo represents a character, and the dangers they face are clarified by a sentence in the bottom of the photo. Viewers immediately pay attention to the organization and the message. They will be attracted to read more and help them. It means that you succeeds. For more detailed information about the organization and its operations, viewers can click on any item, for example, "Human Trafficking". In addition, links with other community sites are created in a smart way; through "Like" on Facebook, "Follow" on "Twitter" or "Subscribe" on Blogs, so Rapha House can attract more help in this way. If you have a pizza shop, or any certain food service, why not making a good impression on customers who want to use your shop online? Let’s take a look at Marco's pizza to know how it can work! Foods often have a very vivid color. This visual factor can be used to attract viewers. Marco’s Pizza has a delicious pizza on the home page that you cannot take your eyes off. This is a classical way of advertising of food. A very nice Marco’s Pizza logo is in upper left part of the page. Moreover, the creator has decided to place the information that is most important to the customer in a convenient menu-bar. It is easy for the customer to order online "Online Ordering", see "Hot Deals" or the "Menu" and find their nearest store through the "Store Locator". Whether you are “Interested in a Franchise?” want to "Join Our Email Club" or simply "Flavor your Crust", you can find what want on the website. Another advantage is the connection to the network community sites, such as Facebook, Twitter, and YouTube. Do you like any of the Joomla websites above? Why don’t you begin to make your own one? Visit its official site; you will obtain a lot of information for building your first website. You also could be a member of its community to share useful information and valuable experience with other users or to discuss about Joomla templates customization and get help from them. Creating a simple but impressive website based on Joomla foundation is totally possible. So, do it for yourself! How about you? What do you think about these amazing Joomla powered websites? Share your opinion with us and everyone else by leaving your comments. 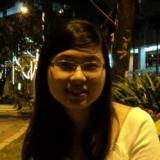 Ngoc Anh is an online copywriter at joomlashine.com. She writes blog posts to share useful joomla information with Joomla users, especially Joomla newbies. Thursday, 17 October 2013 What’s new in JSN UniForm version 3.0.0?